Although the IRS issues most tax refunds in less than three weeks, there isn’t actually a specific way for taxpayers to discover when their refunds will be issued. There is important information, however, that can help taxpayers understand the refund process. For instance, the status of a person’s tax return will be posted on the “Where’s My Refund” tool on the IRS website within 24 hours of the agency receiving an e-filed return, or within one month of receiving a mailed tax return. Unfortunately, there is also a lot of inaccurate information about the refund process making its way to taxpayers via social media. For help ensuring that your own tax refund is not delayed as a result of one of these myths, contact the experienced Florida tax return preparation attorney Ronald Cutler today. Helping with tax return preparation itself. Ordering a tax transcript, however, will not reveal the processing time of the tax return from receipt to completion. The IRS is reviewing an item claimed on a return. However, when the IRS withholds part or all of a person’s refund, it is required to mail the taxpayer a letter of explanation. Some taxpayers will also receive a letter from the Department of Treasury’s Bureau of the Fiscal Service if a refund was reduced to offset certain financial obligations. Increasing additional or estimated tax payments. Checking withholding is an important step, because although many taxpayers believe that if they receive a refund in the current year, their withholding will automatically be correct the following year, this is not always the case, especially when a person got an unexpected result after filing their tax return due to withholding too much or too little from their 2018 paychecks. 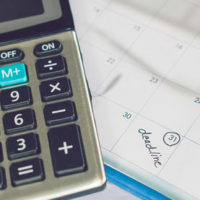 In the event that an adjustment is necessary, taxpayers should submit a 2019 Form W-4, or an Employee’s Withholding Allowance Certificate to their employer as soon as possible. To speak with dedicated Florida tax return preparation attorney Ronald Cutler, P.A. about the status of your tax refund, please call 386-490-9949 or send us an online message today.